“Hello, Vietnam” – a short video introducing this great country. 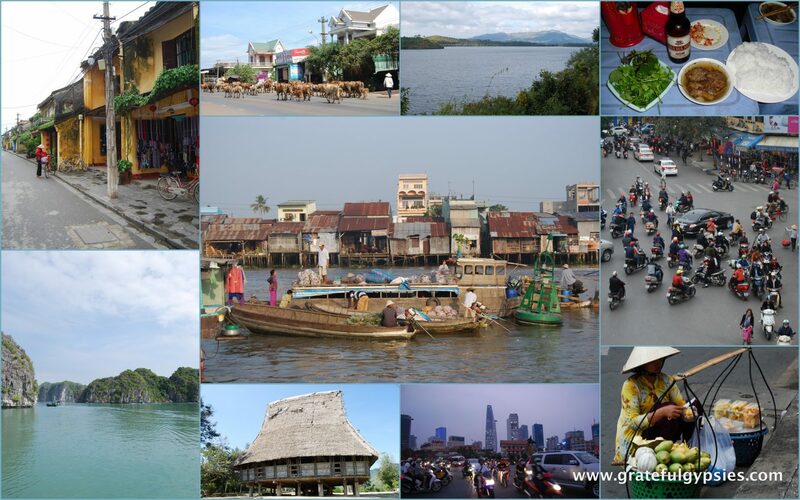 Vietnam is a country with a fascinating and turbulent history. Once a part of Imperial China, the country gained independence in 938 AD and was led by successive royal dynasties. The French colonized the area as part of French Indochina in the mid-19th century. 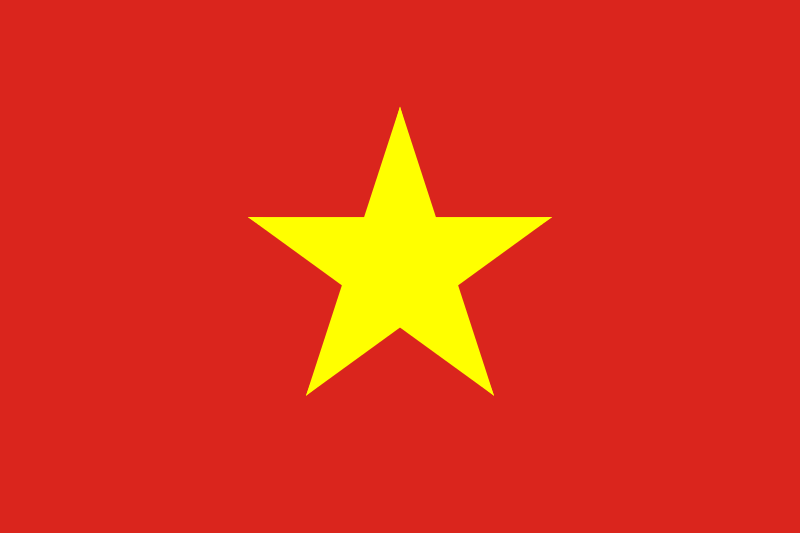 After a brief period of Japanese occupation in the 1940s, the Vietnamese defeated the French and once again gained independence. However, the country was split between north and south – a move that would eventually lead to the disastrous war which included the United States. Known amongst the Vietnamese as the “Resistance War Against America,” the impact and effects of the war are still present in everyday life. Our epic SE Asia backpacking journey began in Vietnam with a month-long trip across the country from north to south. From trekking in Sa Pa, to cruising along Ha Long Bay, to riding across the Central Highlands on a motorbike, it was a wild ride to say the least. Despite a lot of negativity found on other travel blogs, we had a fantastic time in Vietnam. With friendly people, delicious food, strong coffee, beautiful landscapes, a unique culture, and of course cheap beer, traveling in Vietnam was a great experience. Browse our interactive map or read the descriptions below and start planning your adventure around Vietnam. From trekking amongst the terraced rice fields in Sa Pa, to cruising the Central Highlands on an epic motorbike adventure, to dodging the thousands of motorbikes that pack the streets of Ho Chi Minh City, there’s never a dull moment when traveling in Vietnam. Sa Pa: Make friends with some ladies in this lovely mountain town and then join them on a trek through the fields and passed rice terraces to visit their village. Enjoy a home-cooked dinner and some “happy water” when you get there. Hanoi: Explore the Old Quarter of Vietnam’s capital city and stroll around the lake taking in the local culture. There are also quite a few museums to visit, water puppet shows, and oh yeah, draft beers for $0.25 in the street. Cat Ba Island: Forget the tiring day-trip to Halong Bay and just stay a night or two on Cat Ba Island instead. Enjoy the sunset view from your hotel room then walk right across the street to board your junk boat for a tour of the stunning bay. Ninh Binh: Rent a motorbike and cruise out to ancient temples, then float down a scenic river surrounded by karst mountains. Try some of the area’s specialty – grilled goat – before you board the train. Hue: Former imperial capital, Hue is home to Imperial Citadel and tombs of past emperors. Hopefully you’ll get better weather on your visit than we did! Hoi An: One of the most popular towns to visit in the whole country, Hue is a beautiful little town famous for its historical sights and its cheap tailors. You can also join an awesome free bike tour run by local university students, which we highly recommend. Central Highlands Easy Rider Tour Part One and Part Two: If it’s adventure you seek, then you have to sign up for an Easy Rider motorbike tour while in Vietnam. You can start and finish just about anywhere. Read the highlights of our 4-day trip through the Central Highlands – the highlight of our month in Vietnam. Ho Chi Min City (Saigon): The city formerly known as Saigon may not be the capital, but it’s definitely the biggest, most cosmopolitan, and most fun city in ‘Nam. Visit the Reunification Palace, the War Remnants Museum, and the Cu Chi tunnels, then party down on the backpacker street. Mekong Delta: Famed for its floating markets, the Mekong Delta region is a place that should be high on your list. Stay a few nights in a local homestay on the river to really get the feel for the place. Ha Tien: Crossing to Cambodia overland? Stop in this chilled out beach town for a night before hopping over the border.